IDA Portals, or dental websites, put doctors in control of their dental marketing strategy by providing them with automatic lead tracking for all of their dentist websites. From their IDA Control Panel, doctors can download tracking reports and raw data. They can review graphical analyses by location, dental market and lead type to evaluate campaigns, as well as see the names, email addresses, phone numbers, etc. of the new patient leads. The charts in the Reports are based on comprehensive data, yet they’re designed to be easy to scan so that doctors can get a quick overview of which dental marketing sources are bringing in the most new patients for each campaign. However, the raw tracking data can be exported to Microsoft Excel or Word, or as a CSV database file for further in-depth analysis. Dentists can use built-in filters to create customized reports based on geographical area, types of dental service, lead capture methods, etc. Segmenting data in this way lets dentists see which campaigns, services and geographical markets are most successful. 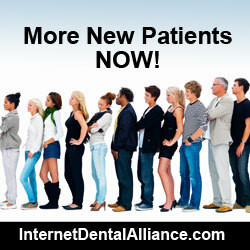 IDA is North America’s largest provider of websites for dentists and dental directories. As the industry leader, it provides dental practices with online dental marketing services such as dental practice websites, find-a-dentist websites, and other dental practice management resources. In 2012, it completed its advanced Lead Fire lead generation system, which automates content marketing, can be set up within minutes, is based on organic geo-targeted local search, and is customizable for each dental office.